The Riceville Ag Education Horticulture class is raising lettuce, spinach and cherry tomatoes for the RIceville school hot lunch program. 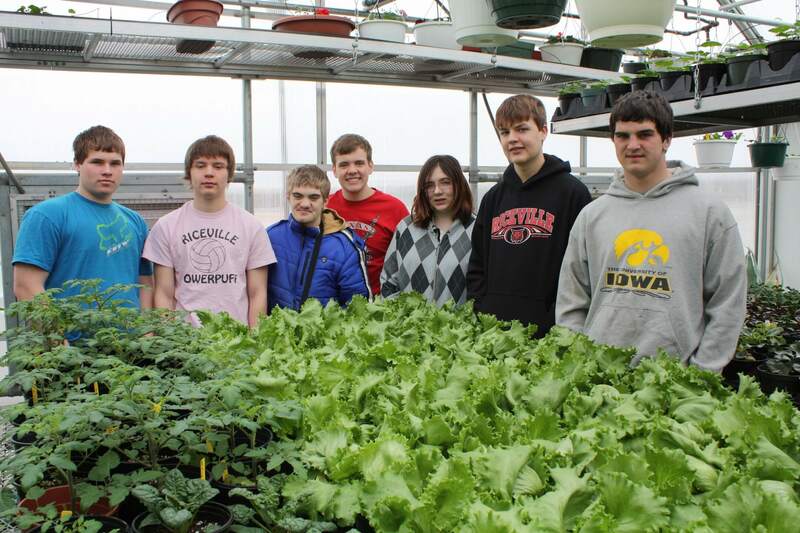 Pictured above are students in the horticulture class that include: Devin Flugum, Trae Dozark, Brandon McIntyre, Nicholas Jensen, Brianna McMurrin, Ryan Drilling and Clint Eastman. The class also raised vegetables, flowers, and bedding plants that will be sold to the public on Monday, Wednesday and Friday after school, at the school greenhouse during the month of May. This entry was posted in Riceville CSD, School Wellness and tagged Gardens by admin. Bookmark the permalink.